Modern day wristwatches are all about encasing time in a singular, defined. They may display many dimensions: hours, seconds, elapsed time, moon phases, even emails and connections to the Internet. At base though, they epitomize time all in one entity. I was therefore intrigued by the title of the first United States career retrospective of Tomi Ungerer’s work: “All in One “at the Drawing Center in New York City. The show runs through March 22, 2015. What does Ungerer who is now 85 and very well-known as a children’s book author and illustrator (Otto: The Autobiography of a Teddy Bear; The Three Robbers; and The Beast of Monsieur Racine among others) have to do with a blog dedicated in part to horology? It all comes back to family ties, heritage, and intangible genius -- a common thread in so many clock and watch making family histories. The following summary, a divergence from my normal commentary is a short tribute to the Ungerers and their lasting contributions. Tomi Ungerer’s tribute to his father, Théodore and his family piqued my interest. My research unearthed some extraordinary time-centered family accomplishments. In the 14th Century, the Ungerer family began producing mechanical tower clocks from Strasbourg, France. Later they opened a branch in Lorraine. 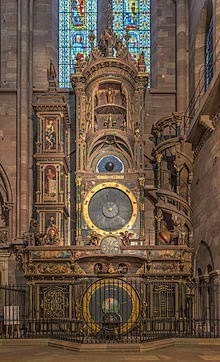 They produced and installed the astronomical clock in the Strasbourg Cathedral in 1354. Although replaced in 1574, this clock must have been a stunning sight. It was known as the “Three Kings Clock” and had several automata including a gilded rooster, a symbol of Christ’s passion. The rooster could flap its wings at noon, spread its feathers, open its beak, and stick out its tongue. This automaton still lives on in the Strasbourg Museum of Decorative Arts. Its enduring, fanciful antics could well be those of a character in one of Tomi’s children’s stories. Later the Ungerer family incorporated electric power into their clock making. 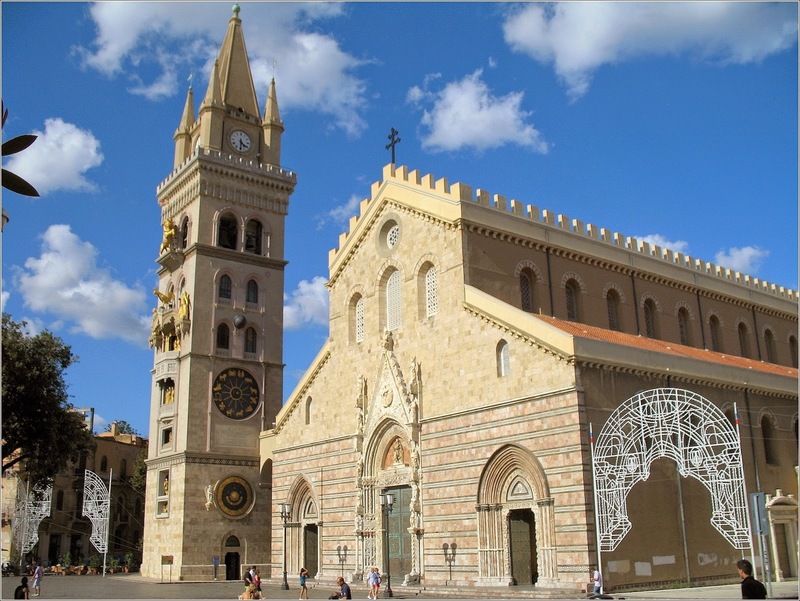 One of their works is the Cathedral Clock in Messina, Sicily. The cathedral dates from Norman Times; however, the current animated clock in the bell-tower is the work of the Ungerer brothers,one of whom was Tomi's father. It dates from 1933 and is one of the largest animated clocks in the world. So the family tradition continues with Tomi in a slightly different way, albeit not without similarities to the creative legacy of his family. In his own time, he has taken his talents and given his own expression to his artistic vision through his writings, illustrations, posters and graphics. Indeed, a family, All in One, to recognize and celebrate.